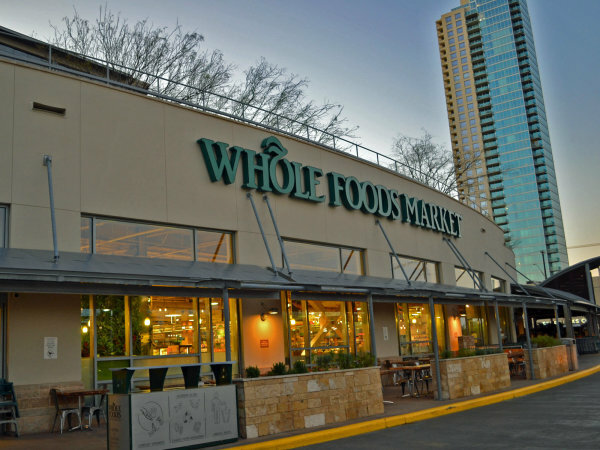 Beauty blossoms this spring, and we’re not just talking Texas wildflowers. 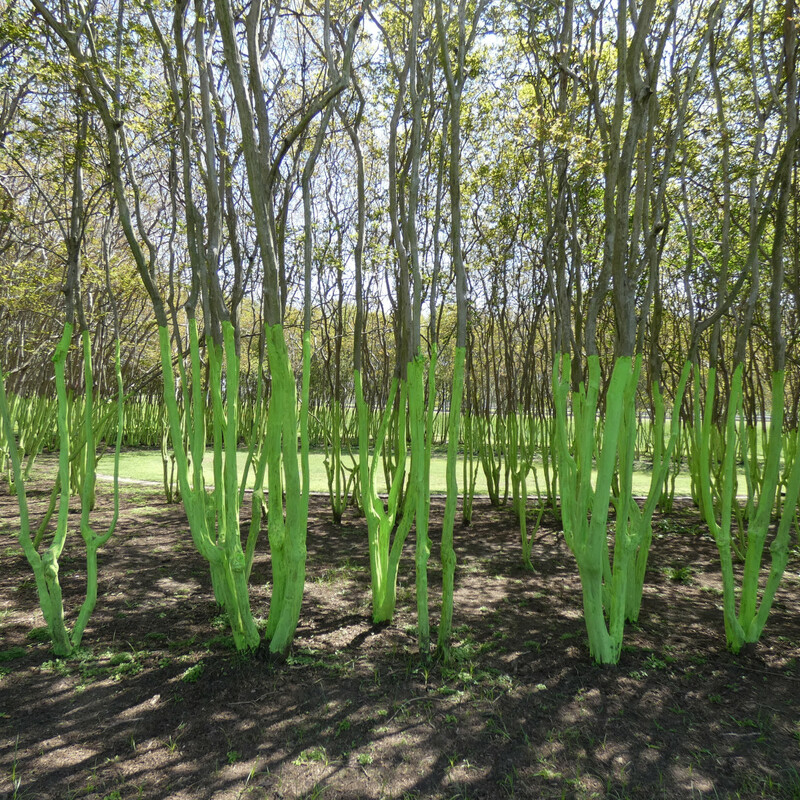 Get ready for art all around us, because a plethora of new and free public art projects and installations have popped up throughout Houston to add some glorious color to a city already in bloom. Some art we can find just walking the downtown streets, while other projects take on nature itself as a collaborator. So be always on the lookout for art perhaps where you least expect it. 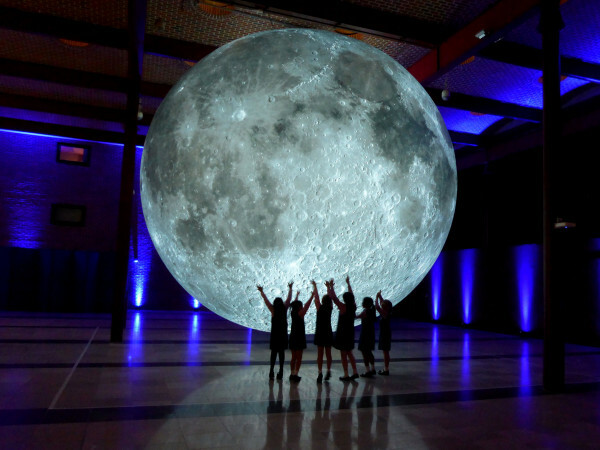 But if you need definite art destinations, here are some of our favorite viewings for spring. Every year to celebrate national poetry month, Writers in the School, in partnership with Buffalo Bayou Park transforms trees along Buffalo Bayou into Poet-Trees (because poets especially love a good/bad pun) allowing those passing by to hang a note on a tree, to leave their own poems, thoughts, or just a general hello to the community. 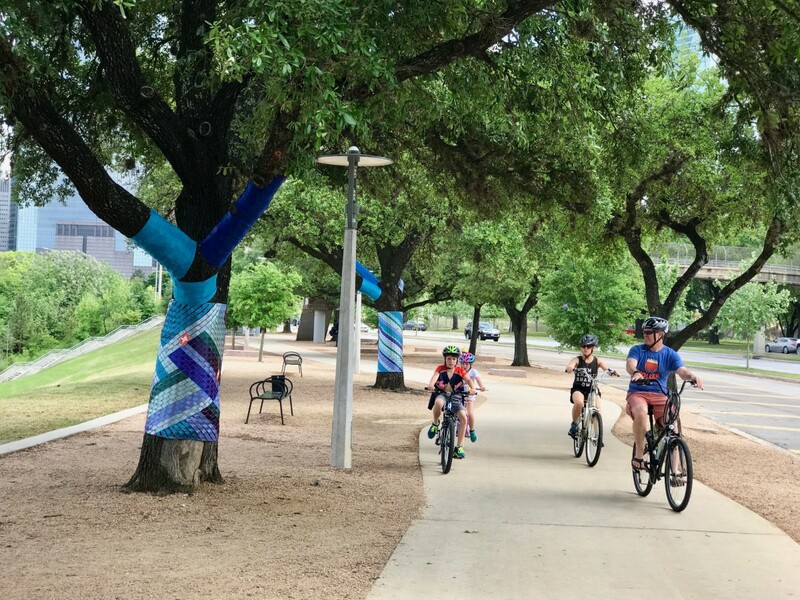 This post-Harvey year, WITS partnered with local artist, Nicola Parente, to wrap the trees in material symbolizing water. They hope people will contribute their own stories, poetic creations, messages and well-wishes for our city and each other. 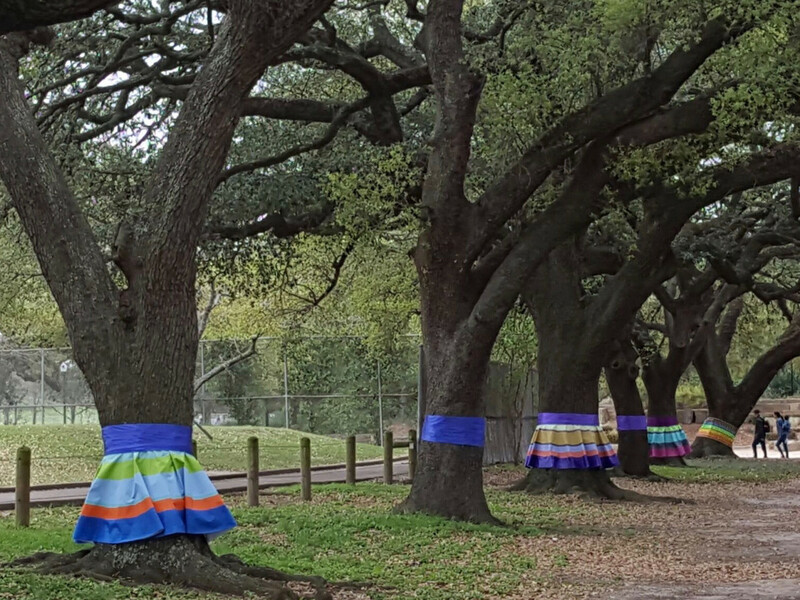 Art-adjacent to this year’s Poet-Trees, artists Tami Merrick and Nicola Parente help the trees in Hermann Park don the clothes of spring. 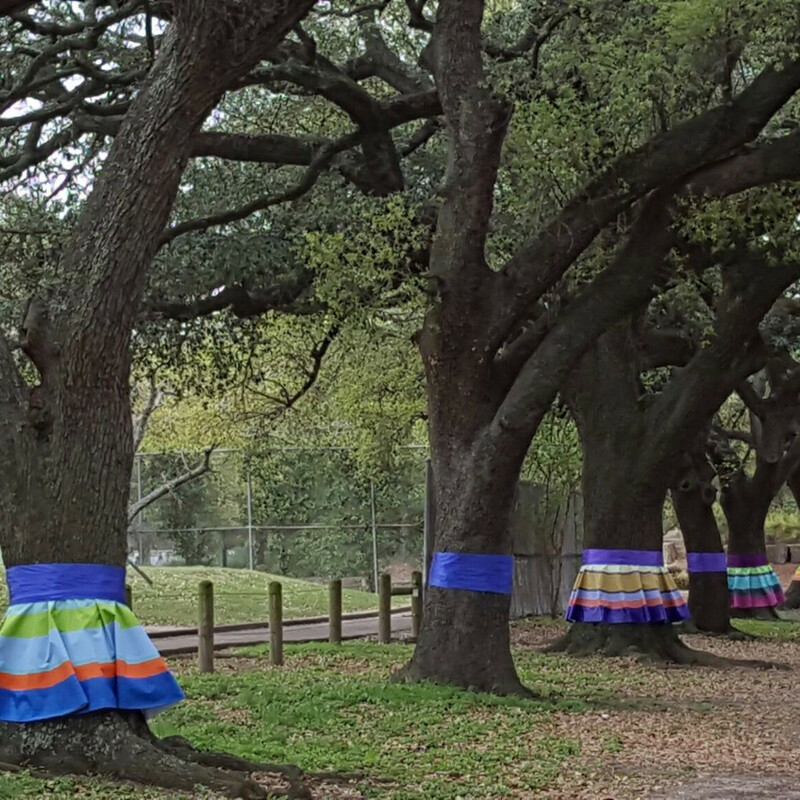 They’ve woven colorful vinyl skirts for live oaks along the Marvin Taylor trail, while over 60 trees along the walking trails wear ribbon vests created by YES Prep Eastside art students and community members to reflect Houston’s multi-cultural heritage. 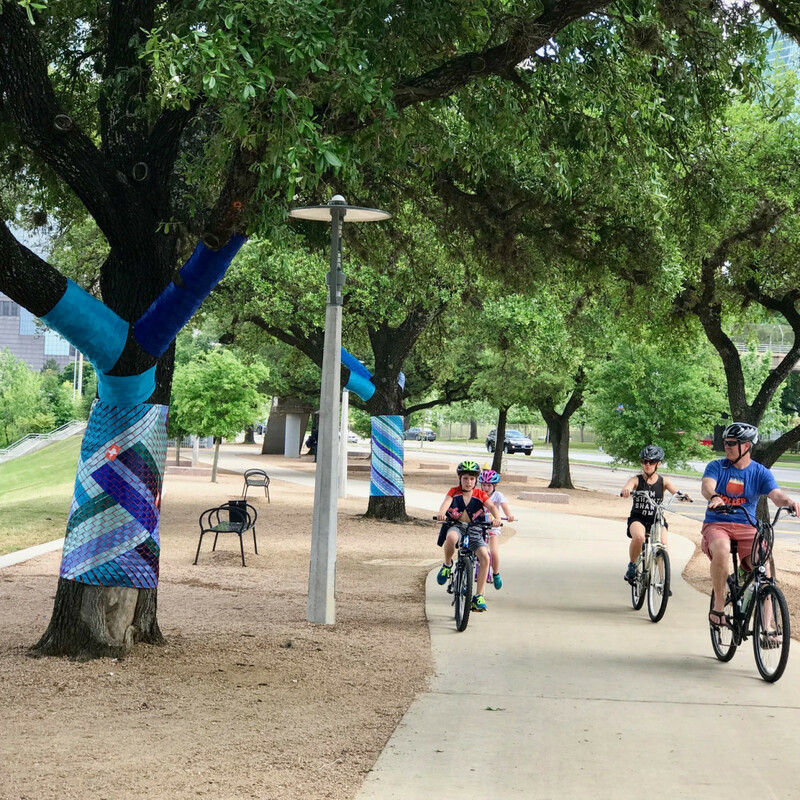 Color Bursting Hermann Park is made possible by grants from the Houston Arts Alliance, the National Endowment for the Arts’ Our Town initiative, as well as The Brown Foundation, Wells Fargo, City of Houston and the Hermann Park Conservancy. 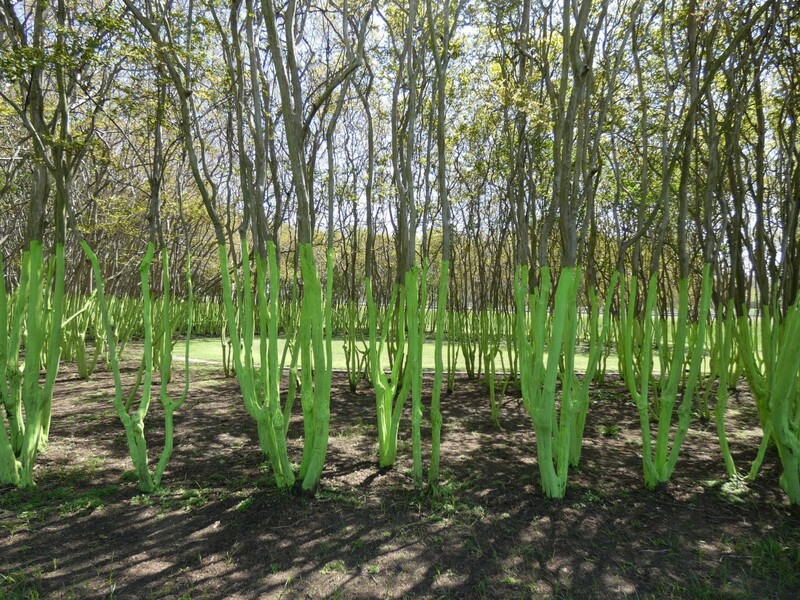 Reminiscent of the Blue Trees project from artist Konstantin Dimopoulos that the Houston Arts Alliance commissioned in 2013, this new color wash on the crepe myrtles comes from the The Houston Parks and Recreation Department. (There is some controversy about how reminiscent it is to Blue Trees.) This Houston Parks and Rec initiative calls attention to the plight of pollinators, such as bees and butterflies, so of course they used a biologically safe colorant that will fade over time. Take to the trees and selfie now while the color remain most vivid. 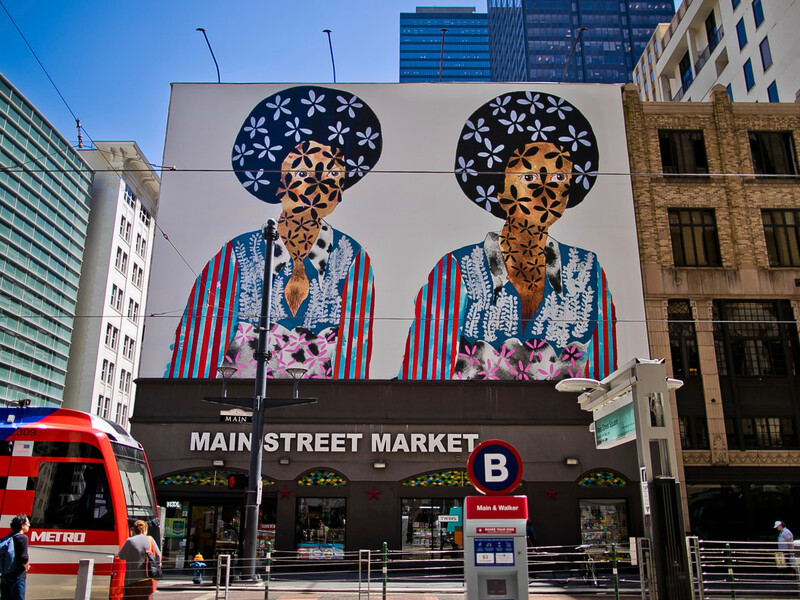 A part of Main Street Square’s Art Blocks, the Marquee has hosted a rotating series of billboard-sized installations since April 2016. 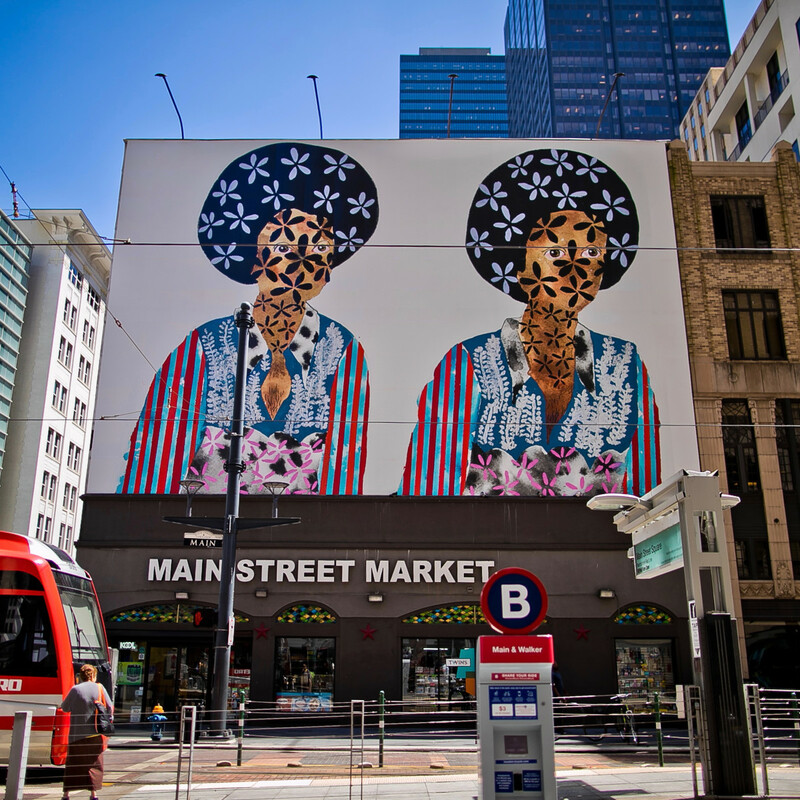 The latest work, Twins by Houston-area artist Jasmine Zelaya, explores femininity, racial and cultural identity, religious iconography and even fashion of the '60s and '70s with a beautiful pair of seemingly identical faces gazing out into the city streets. Head on down to Main St. to watch them watching you. Step across the Ripple threshold to explore the latest project from award-winning local artists Dan Havel and Dean Ruck, and don’t be surprised if you begin to question your own perceptions of reality. 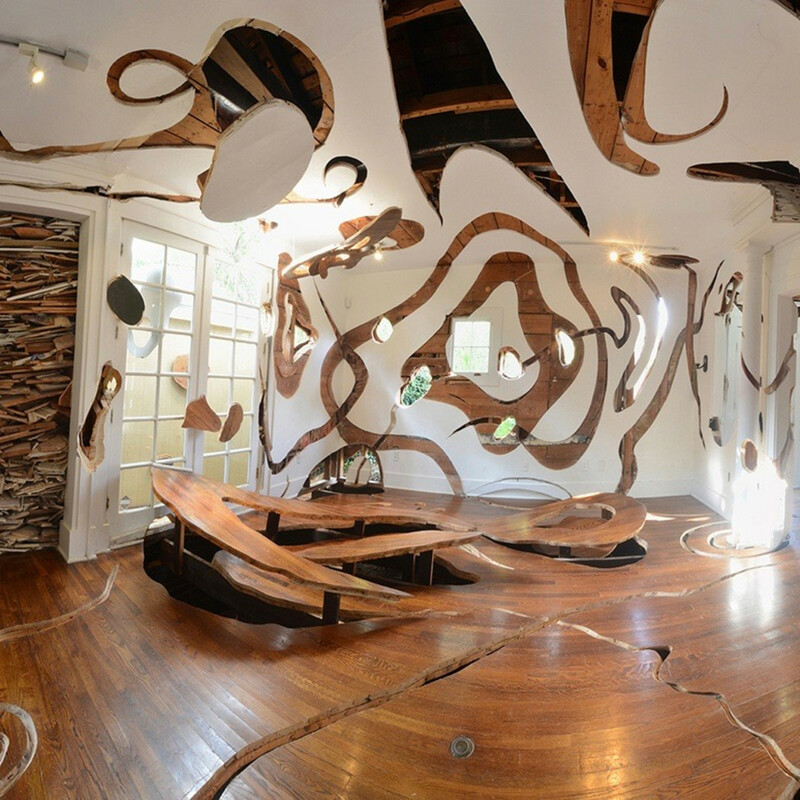 The duo specializes in taking ordinary structures and, sometimes literally, turning them inside out in the creation of art. 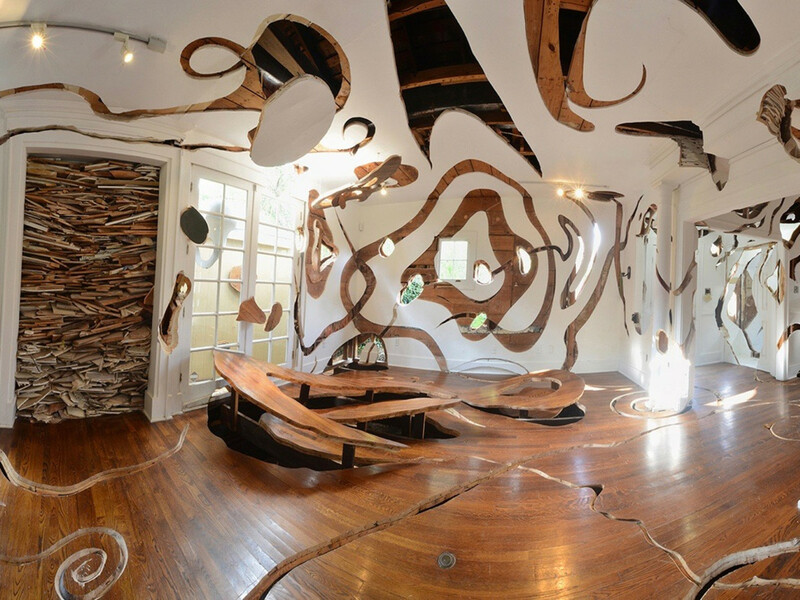 Inspired by Leonardo da Vinci drawings and Gordon Matta-Clark’s architectural deconstructions of the 1970, for Ripple Havel and Ruck have carved out patterns and abstract images into the interior of a house, giving familiar solidity the feeling its undulating around you. Ripple is art that joyful discombobulates. For arts sake, can we please stop calling it a bean? 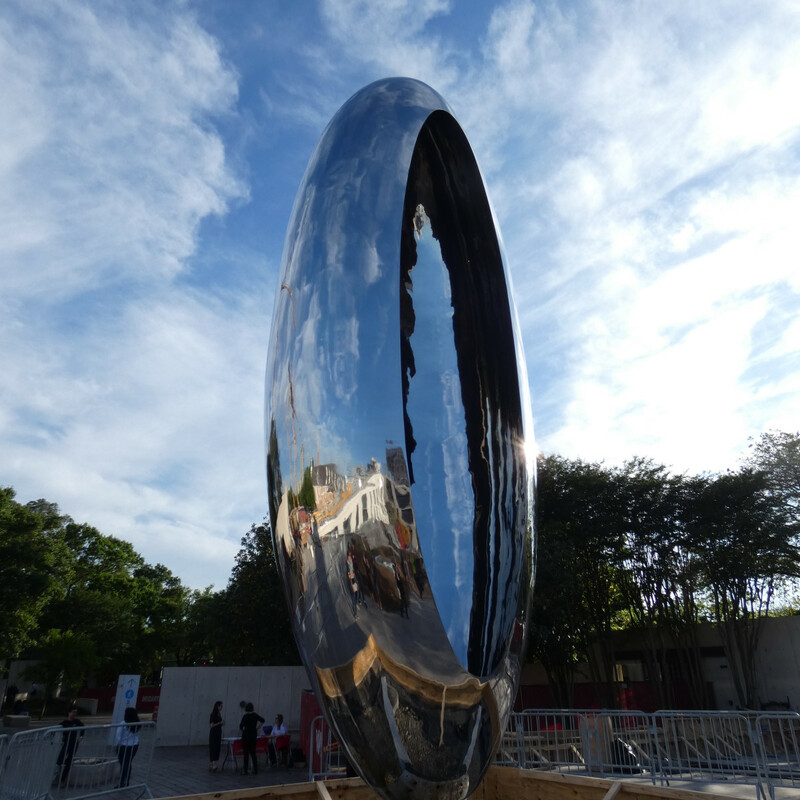 While the Anish Kapoor sculpture does share some mirrored attributes with its younger sibling in Chicago, Cloud Gate, Cloud Column looks absolutely nothing like a bean. If we have to compare it with something in the legume family perhaps a giant, intergalactic sunflower seed might be more apt. And yes that’s right, Kapoor began the stainless-steel, hand-worked surface, Column before the Gate. 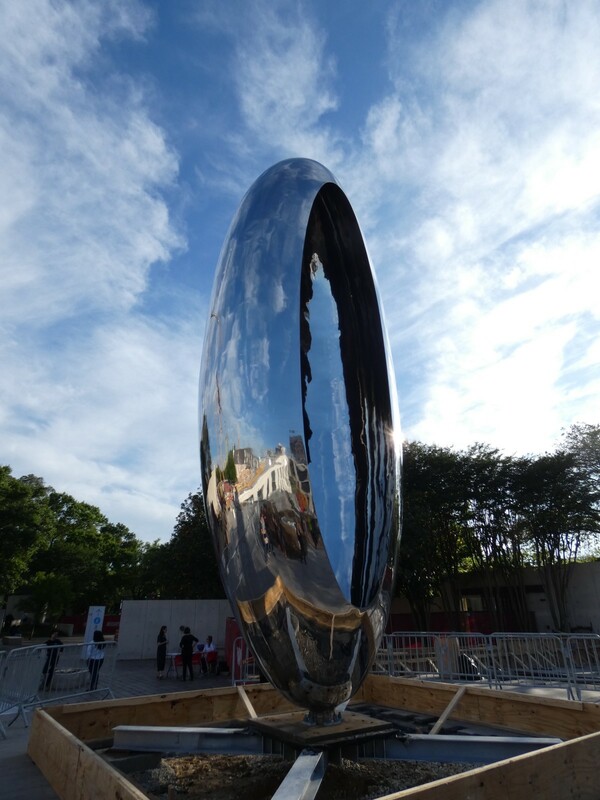 Cloud Column also feels like the right Kapoor sculpture for Space City, as the 30-foot-high, 21,000-pound artwork looks both monumental and so ethereal it will at any moment defy gravity and head back into space. 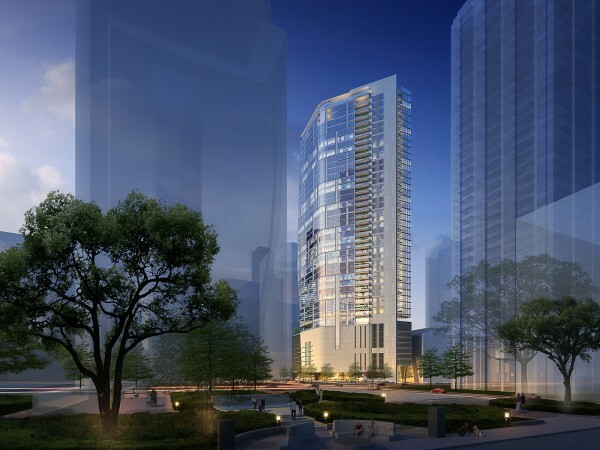 CultureMap has covered the Cloud controversy and subsequent feud with Chicago. Now, it’s time to enjoy the art. While it’s possible now to glimpse the artwork from the sidewalk across Montrose, be patient a little longer, as the MFAH's Glassell School of Art and Brown Foundation, Inc. Plaza officially opens May 20.